**Before we get into the meat of this idea, let me first say that I am whole heartedly for two adults celebrating the anniversary of their wedding - on their own, sans kids. In fact, I think it's a necessary and beautiful part of honoring your marriage and reflecting on the past and dreaming of what is to come. Let's just say you ADD another party to the anniversary celebrations. 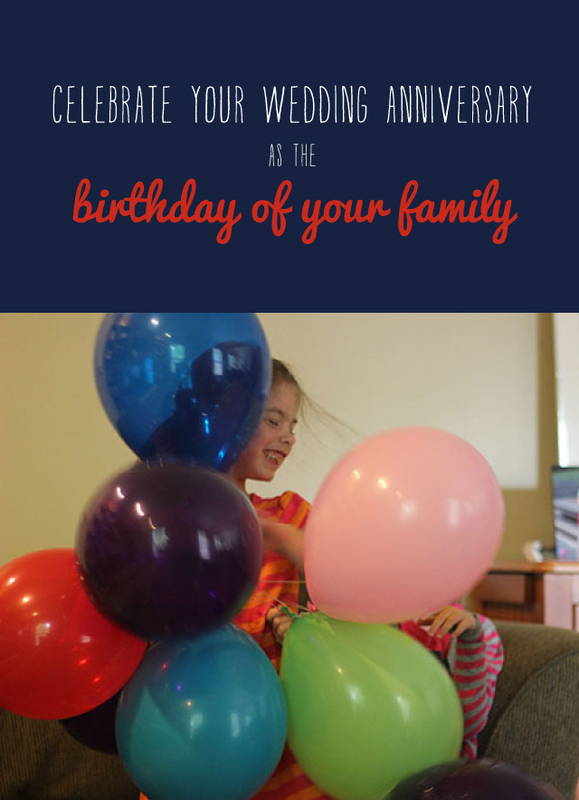 When I was pregnant with my first daughter, a wise friend and mom of four talked about her wedding anniversary as the birthday of their family. I immediately warmed to the notion that the larger, rambunctious and happy family that we have today is a result of two people falling in love and making a lasting commitment to honor one another in good times and in bad. I want my children to understand (and experience) the beauty that is trust, compassion, and loyalty. Therefore, an element of our wedding anniversary celebrations include a happy birthday to our family!! This year it included a fancy dinner out for all five of us, and a trip to see Smurfs 2 alongside some charmed conversation about dating, friendship, and (oh, yuck) Mommy and Daddy's love. 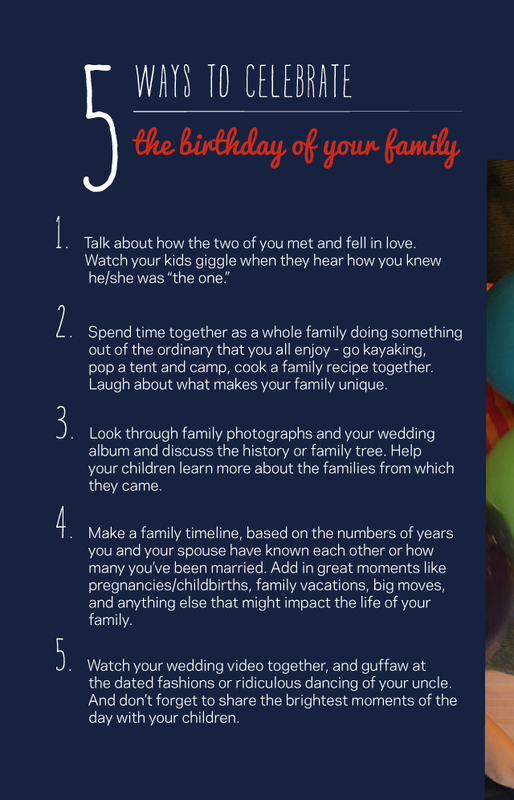 How do you revel in the joy of family? I'm always looking for ideas!